What can I do with Save/Load addon? Create C# class for fine-grained row-level control. How can I enable it? Chose Addons->Save Load, click "Enable", mark tables/fields for saving/loading and save the database. 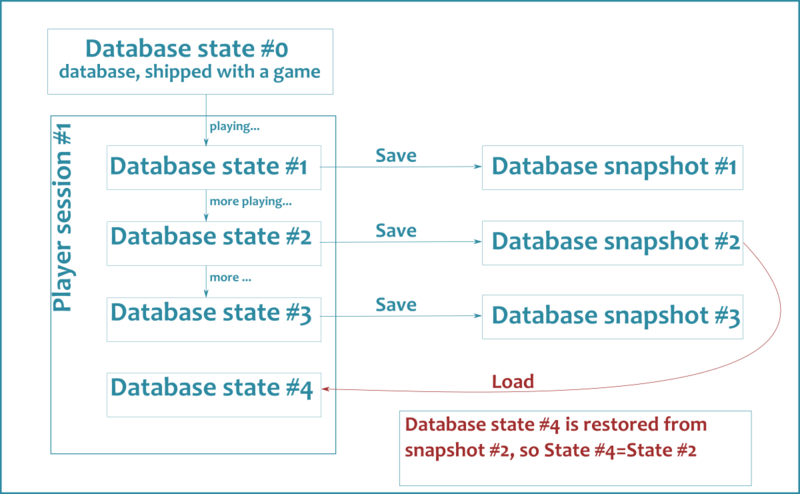 SaveLoad addon can create multiple, configurable snapshots of database data and it can restore database state from these snapshots. 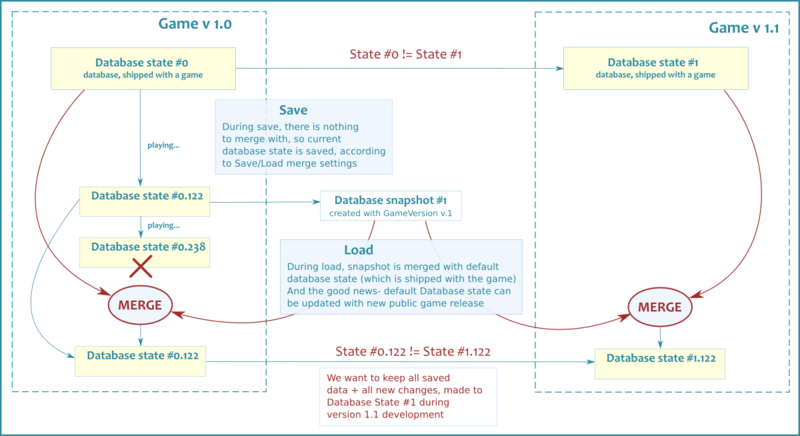 Snapshots are constructed from the data, you marked as changeable, using Merge settings, described below. (Why it works like this?) Please, make sure you marked all data you want to be saved. Why it works like this? Here is the quick explanation and main reasons why it works the way it works and why it's much better then simply saving the whole database. How to change your database and keep it compatible with old save files- read the section below . How to implement row-level control over merging- read Row-level controller section below. Is it possible to save/load the whole database? // !!!! This is not recommended !!!! Using Merge settings you can chose which data to save/load. You want as less data to be saved as possible. You do not need to include data, that is "static" and can not be changed during play session. If you have some field, which value can be changed during the play session and you want this change to be persistent, you need to mark this field to be included to save/load. Example from our example scenes: we want the amount of gold, player gathered to be remembered between game sessions- so we marked this field to be saved and loaded. 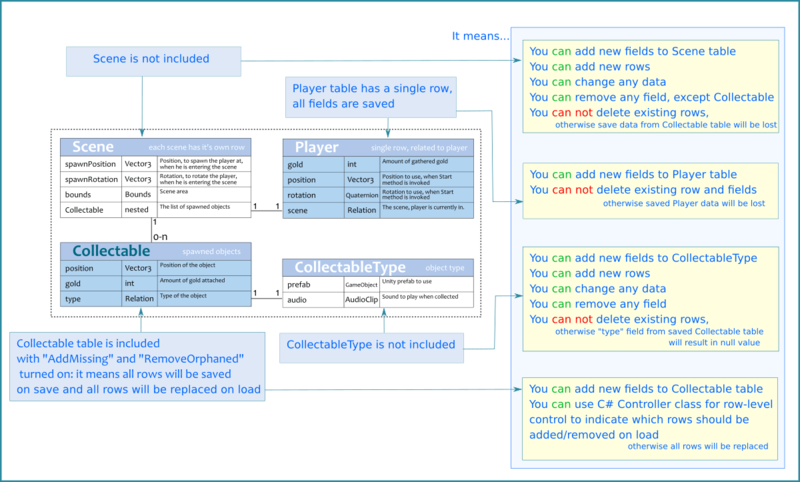 If you have some table, whose rows can be changed during gameplay and you want these changes to be remembered, you need to mark this table to be included to the save/load by setting following setting to true: "Add missing", "Remove Orphaned", "Update matching". These setting will ensure, that all rows from this table will be saved and loaded. Example from our example scenes: Collectable table rows can be changed, so we marked them as described above. How to change your database and keep it compatible with old save files? if in merge settings you mark the rows for adding/deleting ("Add missing"/"Remove Orphaned") the whole table will be updated with values from the saved file (if this table still exists in default database). if you want fine-grained, row-level control over loading - you can do it with C# controller class (read the next section for more details). Merge settings give you control over which tables/fields you want to save. But what about particular rows? What if you want to update/add/delete only those rows which comply to some condition? Here is a quick example of custom controller class, which uses the default example database, shipped with our package. 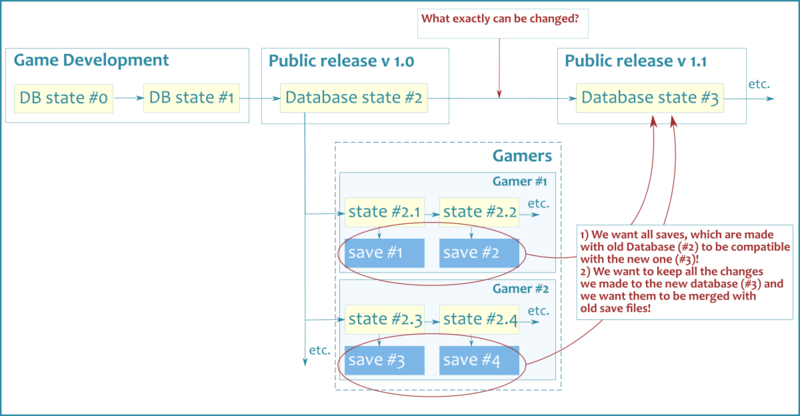 For detailed explanation about how our example works, please, read example breakdown article. //here we want to know, if it's loading or saving? Open BGDatabase window, chose Configuration->Scene and add new int field, call it "version"